The fabrication yard is located in the gulf of Kuryk, south of Aktau in the east coast of Caspian Sea. water depth on front - 7.00 m.
The main quay is designed for Load-out of a 80000 kN jacket. The jacket is skidded on suitable skid ways, 2m wide, aligned perpendicular to the quay on the yard. 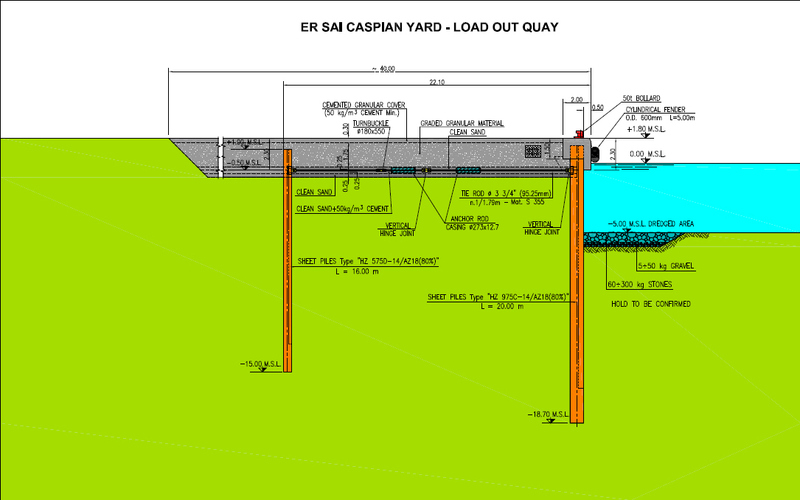 The secondary quay is designed for 60 kN/m2 uniformely distributed load. Basic and detail design and specifications for execution of works.